We were so inspired by this group of young high school girls at Cristo Rey!…Our future is bright! We presented out “Girl Wellness and Empowerment: Strong From The Inside and Out” lecture. 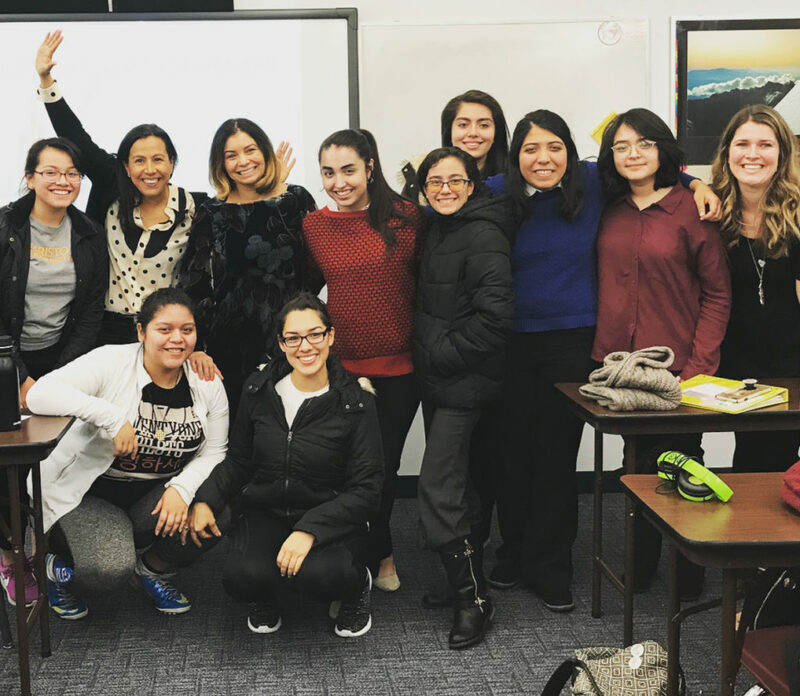 Dr. Elizabeth Yepez has paired up with Kasia McGuire, a life coach and educator, to develop a powerful talk for high school aged girls. The focus of the presentation is to provide reliable information to young girls regarding their physical and psychological well-being. It presents young girls with knowledge about their body and physiology while also emphasizing the importance of decision making, self-love, and sisterhood. The talk serves as a sounding board to middle school and high school girls who often need a safe and reliable source for such topics outside of the home and school. It ultimately prepares young women to be knowledgeable, respectful, and self-loving. Our aim is to empower girls through education and mentorship. The presentation can be adjusted to a single lecture or expanded to include an ongoing curriculum for an established girl’s group. We are so passionate about educating our young girls to help them become the best women they can be. Stay tuned as we are collaborating with some amazing professional women to bring exciting projects to educate.engage.empower the next generation of STRONG WOMEN!